banner, ad, maker, button,create, web header, design, EximiousSoft, gif,jpg, png, banner softwarered banner templates, cliparts, symbols, filters. 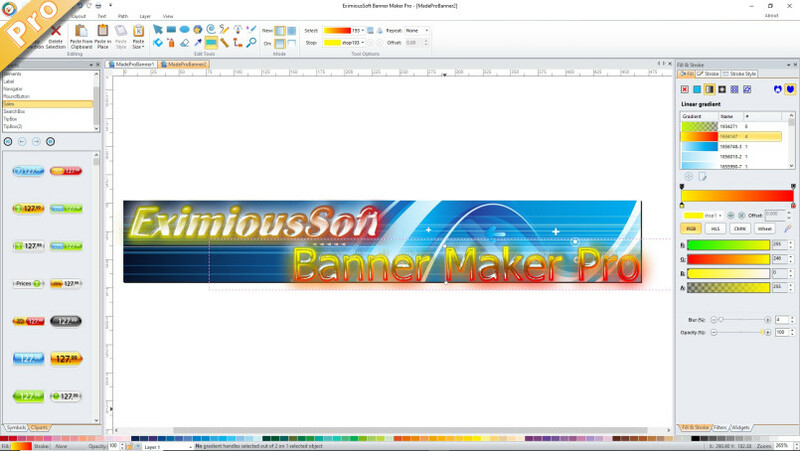 With which, you can quickly create printable business banners and web-based graphics. Fix some bugs when applying the size of the object in the clipboard.